To Know Him: Our Peace, Our Provider, The Shepherd. 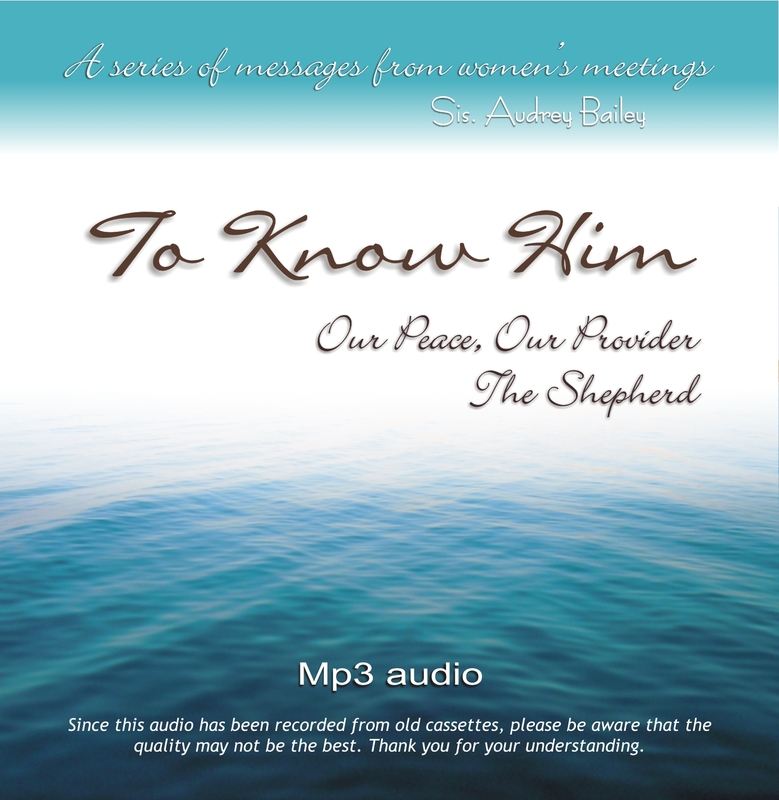 A series of messages from past convention ladies' meetings by Sis. Audrey Bailey, wife of Dr. Brian J. Bailey. MP3 Audio on a CD produced in 2012. Please note: since this audio has been created from old cassettes, be aware that the quality may not be the best. Thank you for your understanding.